It has been nearly twenty years since America’s favorite handyman left the small screen. Tim “The Toolman” Taylor was a DIY pioneer that captured the hearts of many. He was a “do it all” type of guy, even when he couldn’t really do it all. Handymen are overlooked in the tradesmen industry. The term “handyman” has gotten lost in the era of internet search and specialized professionals. The broadly skilled are no longer the first thought when it comes to doing an odd job. For example, handymen used to be the go-to for mounting a TV. Nowadays, some companies focus solely on TV mounting. It’s no secret that there is a company for just about everything these days. Every task on that to-do list can be handled by a different professional who specializes in that very thing. So why have we forgotten about the ultimate to-do listers? I think it’s because people are never sure what a handyman is capable of doing. What exactly can a handyman cover? That’s precisely what I plan to answer. Since the handyman gets asked to do a variety of household chores, I am going to research what types of requests they get. Handymen can probably handle any odd job asked of them. 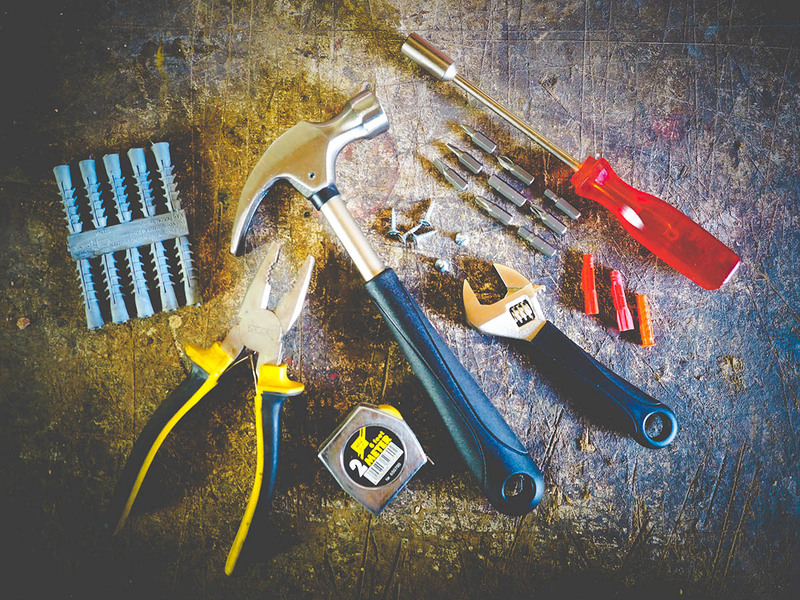 Here are the top 12 handyman services (in no particular order) that people request. When a homeowner asks for a handyman to do drywall repair, that can mean many different things. 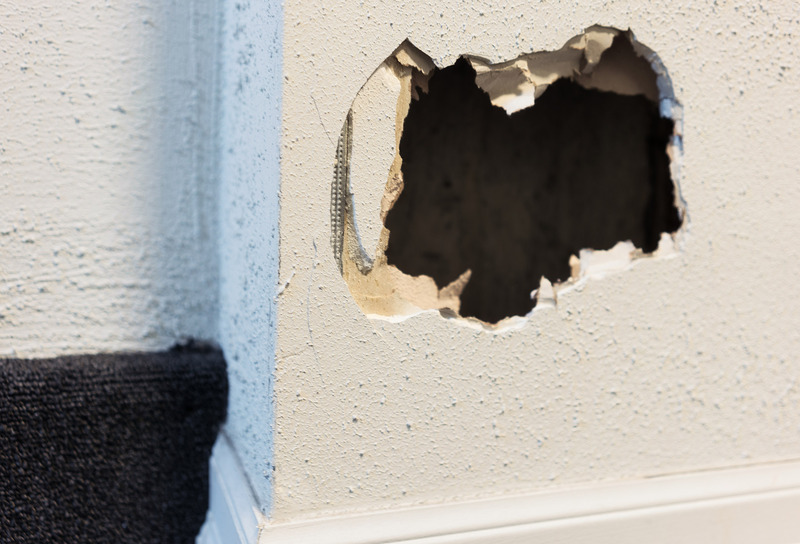 A couple of example repairs would be doorknob damage, small nail holes, large holes, battered corners, and drywall cracks. A handyman should be able to handle any of these types of drywall damage. An HDTV is no longer a rarity, as they have become more affordable in the last half-decade. Just because they have become more affordable, doesn’t mean that someone wouldn’t want to protect their investment. Mounting a TV is the best way to protect it while also freeing up space in a room. Hanging a TV is a skill that nearly every handyman possesses. For many household maintenance tasks, completing them once a year is a good rule of thumb. Cleaning your dryer vent is no exception. Some people don’t even know that you have to clean a dryer vent, but did you know that not cleaning it can be a fire hazard? A buildup of lint can prevent the warm air from escaping through your vent. This blockage can result in overheating and the potential for a fire. On top of being a fire hazard, it can drastically affect the efficiency of the dryer. Taking clothes longer to dry and wasting money at the same time. 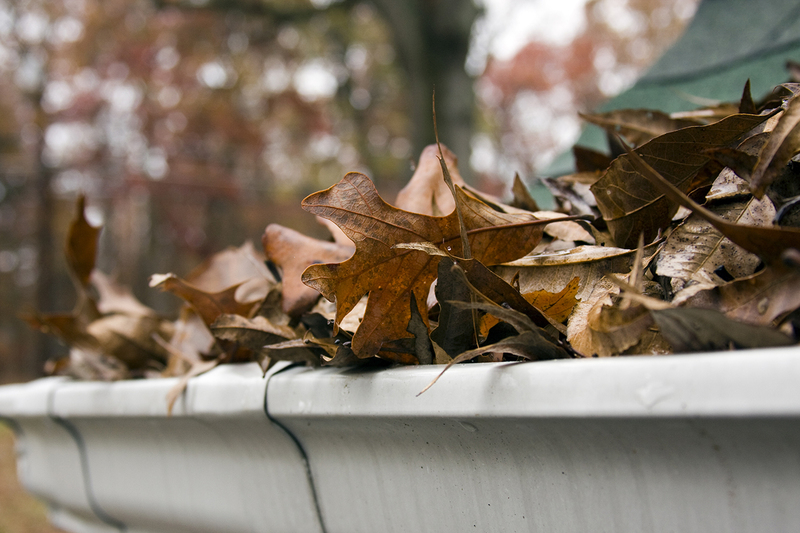 Without gutter cleaning, gutters can become clogged and begin to overflow. This overflow can cause damage to the walls of a house or even cause damage to the foundation. The importance of gutter cleaning is not a secret, but that doesn’t prevent people from skipping over this task. Many homeowners don’t even think about it. Getting out the ladder and fishing leaves out of the gutter? Maybe next year. Rather than skipping it, a handyman will come equipped with their own ladder and will gladly clean out those pesky gutters. Everyone hates the sounds of a leaky faucet. It’s one of those repair jobs that might daunt the average homeowner, but a handyman can probably fix it quickly. A leaky faucet that drips at the rate of one drip per second can waste more than 3,000 gallons of water per year. Just like the typical homeowner, a handyman will probably stay away from tasks that involve complex electrical knowledge. It’s a safety hazard for anyone to be working with electricity when they aren’t educated. That being said, handymen are usually capable of simple electrical tasks, such as repairing or installing an electrical outlet. Ceiling fans provide a ton of value for a home. They provide cool air in the summer, circulate warm air in the winter, lower energy costs, and help keep fresh air flowing! Ceiling fans were once a staple in every home, but now they aren’t seen as much as they were. Everyone has experienced the frustration of buying a piece of furniture only to find out that they are required to assemble it themselves. While the instructions are generally quite clear, many people prefer to have someone else do it, rather than pretending to be handy themselves. Replacing a light bulb itself is far from a difficult chore, but that can change with different circumstances. Some houses have chandeliers that require a tall ladder to reach, and homeowners would rather pay someone to climb up there to replace the bulbs. This one will surprise some people. Instead of calling in a professional plumber, ashamed patrons sometimes opt to call a handyman. No questions asked is the best policy when it comes to dealing with the clogged toilet. Whether it’s hanging a picture, a shelf, or a neon sign, the average handyman has probably hung it all. They are capable of hanging a variety of different things and can get it done rather quickly. Painting is an age-old chore. 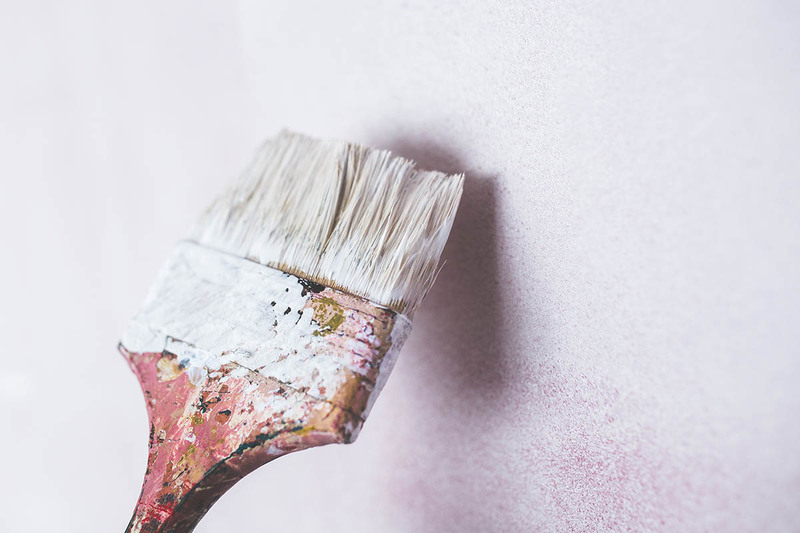 A person will hire a professional painter if they are going to have their whole house painted, but a handyman is perfect for the smaller paint jobs. There are requests for doors, mailboxes, fences, and more. The great thing about handymen is their comprehensive set of skills. It’s a standard practice to charge customers by the hour. Rather than showing up to do one specific job, homeowners will often pay for a period and ask that person to complete a list of odd jobs. The amount of convenience that a handyman offers is underrated. The ability to knock off multiple “to-do’s” in one afternoon is a value that should be taken advantage of more often. Handymen are not limited to their listed services. They will probably accept any request ranging from painting the mailbox to getting the cat out of the tree. Handymen are hard workers. Their brand is reserved for them as a person, not as a company. They are required to do their best job to maintain their brand image. With a handyman, a customer is getting a jack of all trades who genuinely loves their work. Even in the event of an accident, handymen are required to have liability insurance just like every other business. A handyman should never be asked to do any complex electrical, gas, or plumbing work. If they are, they should turn down any request that lies outside the scope of their skills. It’s important to remember that if something deals with safety, it’s best to call in the expert. You probably shouldn’t call in Tim Taylor, but there are plenty of handymen on our platform ready to answer your requests. If you can think of some other commonly asked handyman requests, feel free to leave them in the comments below! Thank you for providing information regarding to handy man services. Worrying about repairs in your home maintenance takes all the time and effort you could have spent thinking of ways to improve .The gutters for rainy days or install fixtures and mirrors, among others. When you hire handyman services, all you have to do is specify the areas that needs to be repair and wait for them to finish. It is as simple as that.